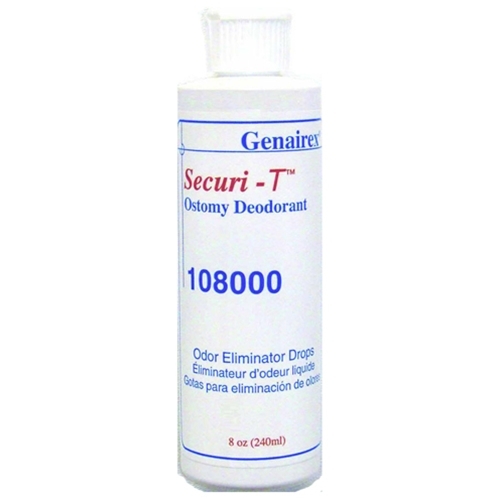 Securi-T Ostomy Deodorant from HealthyKin.com is discount odor eliminator that performs as well as higher priced deodorants. I've used this product for about 8 months & have found the need for fewer drops per application and about 60% of the cost of another name brand. Great stuff that works. This product works great to eliminate ostomy odor just as well as similar name brand product and costs much less. I love being able to receive a 6 month supply (one bottle lasts me approximately 1 month). This product has replaced my use another name brand deodorant for the past 18 months. It is equally effective for about 2/3 the cost delivered to my door. Delivery is always rapid & the order is complete.